This week, the IRS announced new regulations to thwart efforts by some states to circumvent the $10,000 limitation on individuals’ deduction of state and local taxes on their federal income tax calculation. The 2017 Tax Act included a $10,000 ceiling – beginning in the 2018 tax year – on deductions for state and local taxes (including income tax and property tax) for individuals who itemize deductions on their income tax returns. 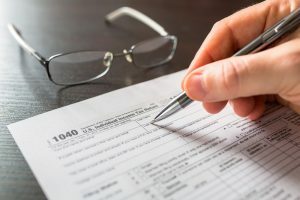 Although Treasury and the IRS estimate that only about 5% of taxpayers will be affected by that limitation, many taxpayers, particularly those in states with high income tax and property tax, face annual taxes much greater than the new $10,000 limitation. Some states have tried to come up with “workaround” solutions to allow their residents to circumvent the $10K deduction ceiling, including proposals last year for taxpayers to “prepay” their 2018 property taxes before the end of 2017. The IRS ruled last year that that approach would not work. More recently, some states (most notably New York) have gone further, and have created “charitable funds” to allow their residents to make “charitable contributions” to a state fund, which then would allow the payor to take a credit against state taxes owed. The hope was that the payor could then claim a charitable deduction under Section 170 for the amount contributed, which would not be subject to the $10,000/year federal deduction limitation on state and local taxes. The Treasury and the IRS announced this week that it would not permit taxpayers to claim charitable deductions for such payments to a charitable entity to the extent the payment results in a reduction of a state or local tax liability, and proposed new regulations to that effect. The basis of the Treasury and IRS’ position is that taxpayers may not claim a charitable contribution to the extent the payment results in personal benefit (or “inurement”) to the taxpayer – which is a longstanding tenant of cases and regulations governing charitable contributions. Under the proposed regulations, if, for example, a taxpayer makes a $20,000 contribution to a state “charitable” fund, and is thereby relieved of $19,000 in state tax (e.g., through a credit against the state tax), the taxpayer could claim a federal charitable contribution of only $1,000 – the difference between the amounts paid ($20,000) and the personal benefit from the reduction to his state income tax ($19,000). The proposed regulations would not impact a situation where a taxpayer obtained a state tax deduction for a contribution, or a credit of up to 15% of the contribution. Some state politicians – notably N.Y. Gov. Andrew M. Cuomo – have vowed to fight the IRS position on the state and local tax deduction limitation. But, the latest actions by the Treasury and the IRS leave little basis for taxpayers to claim (directly or indirectly) a federal tax deduction greater than permitted under the $10K limitation unless Congress acts to reverse the limitation enacted last year.